Let's celebrate Dad with this delicious basket full of chocolates and candy! From chocolate bars to chewy candies, this gift delivery will sure to delight any Dad that has a sweet tooth! 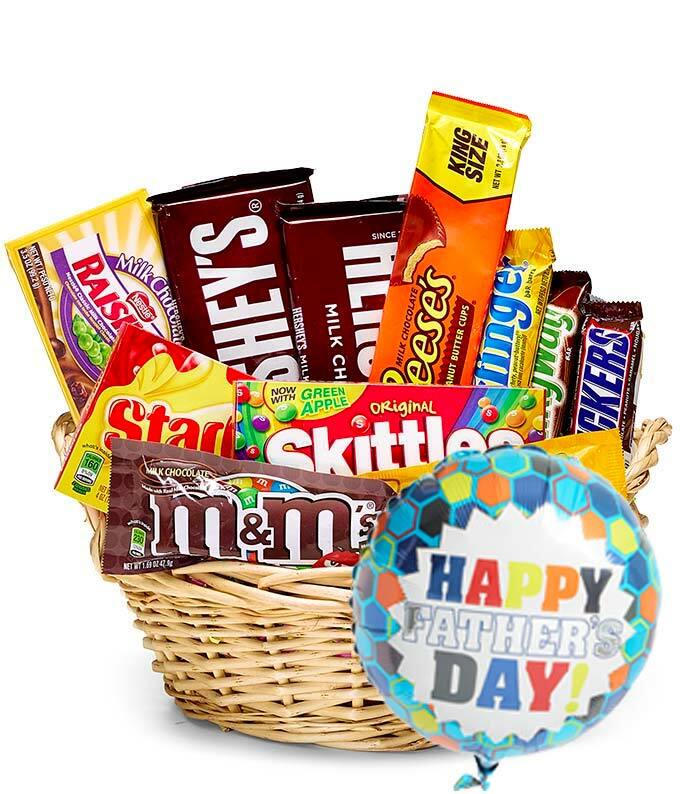 A Father's Day mylar balloon makes this gift basket even more fun and festive. Hand-delivered by a local florist. * Candy and product assortment may vary. Also, the Father's Day balloon will vary depending on local florist's availability and may not be exactly the same as what appears in the product photo.